It's been 5 months since we abolished the paper counterpart to the driving licence. So it’s important to use the right service if you need to check to see what vehicles your pupils can drive or for any penalty points or disqualifications. Our ‘View Driving Licence’ service puts the driving licence holder firmly in control of their own driving record and who they share their driving licence information with. Your pupil must use this service to create a ‘check code’ to give to you. This code will last for up to 21 days. 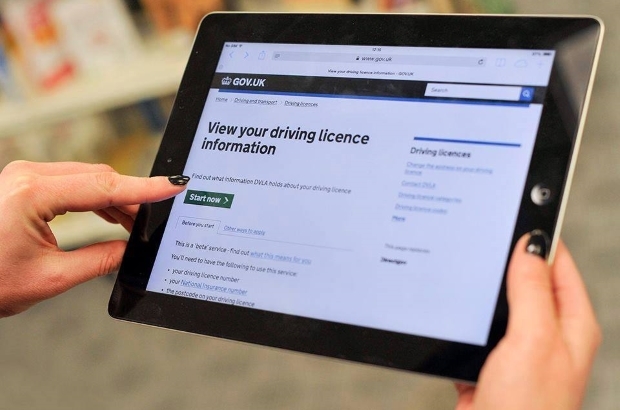 The right way to check your pupil’s driving licence information online is to use our Check Driving Licence service. You’ll need the check code created by your pupil and the last 8 digits from their driving licence. You can only use the code once – if you want to do another check, you’ll have to get another code. You shouldn’t access the driver’s record through their View Driving Licence service. You must be able to confirm that the learner holds a provisional or full licence for the category of the training vehicle they’re learning in. If you need to check someone’s driving licence information, you can use the photocard licence and our ‘Check Driving Licence service if you want more information (eg. to check if your pupil has any penalty points). If you do these checks before the first lesson, it can save a wasted trip to a pupil who isn't entitled to learn to drive at that point. At DVLA, we’re continuing to improve these services using your feedback. You can find out about news and developments by reading the ‘DVLA digital services’ and ‘Inside DVLA’ blogs. You can also sign up to the DVLA’s user alert service for us to let you know when we publish a blog. Please email serviceenquiries@dvla.gsi.gov.uk if you need any more information about the services. This is a step backwards and in no way helps. Internet isn't always available and not everyone has access to it anyway. Very time consuming and in reality unnecessary inconvenience. Actually it is not a backwards step. There were drivers out there who had more than one counterpart. one would show penatly points and the other would be clean. Having access to check uip-to-date driver's details when they are learning to drive or hiring a vehicle will stop this fraud!!!!!!!! This is a good idea l get my students to use it all the time. The other day I had a new student and he told me he could not get the code online. The phone goes dead,I spend time money and in the end I had to get on with the lesson without checking the lesson. Is not very well thought what if it dos not work. I agree with Jack, you made a mistake getting rid of the counterpart, in fact your first mistake was luring people into believing that a two part licence was nessasary. Well done on getting us to carry identity cards, we all said we did not want them. But as per usual stealth overcomes the rights of man. Antonie O'Rourke - you are so right!! If the government wishes to argue that they are not ID cards, then how come Halfords will accept them as proof of identification to get a number plate made, although they flat refuse to accept my passport as proof of identity. Equally, how come I can travel to Ireland on my drivers license? Complete underhanded stealth attack on individual freedom, despite the outcry when there was talk years back about introducing ID cards. Personally, I thought the counterpart was a pain in the backside. It was hard enough knowing where mine was whenever I needed it, but pupils...? No chance. Everyone always knew (or their mum allegedly did) exactly where it was no matter how much you went on about it to them right up until the morning of their test. Then it disappeared like a wisp of smoke a couple of hours before. You'd seen it on their first lesson, but that was the last time its whereabouts could be accurately known by anyone. I've lost more money over the years due to them not being able the find licences and/or counterparts than for just about any other reason. I was glad to see the back of the counterpart. Everyone keeps going on about what COULD have happened, but I wonder how many ADIs have actually been prosecuted as a result of dishonest pupils? I mean, there comes a point when you have to ask if it really is a problem when you've had zero genuine incidents out of 700+ pupils. Absolutely spot on, stealth by any other name is still stealth. As the saying goes, if it ain't broke don't fix it. Supposedly free service at present, but for how long? I'm trying to bite my tongue on some of these comments. No internet or PC? My Mum & Father in law are 74 & 78 and can work a PC with broadband. As for the licence (correct spelling), being used as an ID... Wasn't that always the case with a Driving Licence? I guess if they have something to hide, they should surrender their licence and ADI badge and get a bus pass... No wait, a bus pass can be tracked! Could you possibly inform me of the app you use please? Under these circumstances, whereby your client has no Internet / PC access, they are able to ring the Contact Centre and ask for a check code to be generated on their behalf. Once created, your client can provide you with the check code, allowing you to check their license on-line. What a very long winded and complicated way of checking licenses. A very backward step. As the previous comment stated, Internet may not always be available at the right time or even at all. Previously it was easy and quick to check the validity of the pupil, particularly if they were returning to driving for refresher lessons. Now it's a nightmare. Many instructors will now just keep there fingers crossed as to the veracity of the pupil that they are legally eligible to drive. If they get caught out by an accident for example then it could have serious implications regarding their insurance. Would it be legally acceptable for an instructor to get the pupil to sign a declaration that they are legally eligible to drive? Takes a few minutes to check, its really easy, can understand those areas that have no internet or very little band speed that this could be a problem however much better than someone giving a false counterpart. The system works, I know, because I tried it when it first launched. But in spite of the examples given of why I MIGHT need to do it, I cannot recount a single case in all my time as an ADI when seeing the counterpart provided me with any information I definitely HAD to have, other than the fact they had it and so wouldn't be turned away from the test centre on test day. I mean, how would I have known if it was faked or out of date? I can imagine that some ADIs, in some parts of the country, who teach certain groups/types of pupil might find access to penalty points and licence status of greater value than the majority, but the effort for the rest of us easily outweighs the likelihood of the necessity! I think that it's a case of "it's there if you need it". Mind you, if the system changed so that the ADI could do it routinely without invoking a national treasure hunt andexchanging secret handshakes then I'd do it every time without fail. It is a complicated and slow process, not always possible at the first appointment and pupils will not understand the need to go through this in advance. They have a photocard licence, which is good enough evidence. If it is not, then what is it exactly? They show the photocard, we ask if they are disqualified, they say no, off we go. Any online checking service assumes we have a data connection, and the funds for it. Not acceptable. Even the above guidelines are vague. it does not say we must, or should, it just says we can if we think we need to. Either state we should, or should not, make a clear instruction. if as instructors, we must see more detail, then reinstate the counterpart. Only time I can see a need for this service is if they have a full licence, e.g for a tractor, so the provisional car entitlement is not shown on the photocard. I agree with the comments above. An app or free phone number should be set up for Adi's and motorcycle training schools. It's a poor show that a gouvernment agencies are prepared to implement changes like this without thorough consideration. Quite frankly the current methods are an embarrassment and clearly an afterthought to a rash money saving exercise! The decision to abolish the counterpart was as a result of the government’s Red Tape Challenge consultation on road transportation. It also aligns to DVLA’s Strategic Plan (https://www.gov.uk/government/publications/dvla-3-year-strategic-plan) which includes commitment to simplifying our services. So- you get rid of the tax disc so we can't tell if a vehicle is legal. Then you get rid of the counterpart licence so we can't check if pupils are eligible to drive, without having to go through this rigmarole. If the Examiners can ask for Insurance declaration at the start of the Test then why cant' an Instructor ask for a declaration from the pupil instead. I check every time, feel its a bind, but have had candidates with Drink Driving ban, and an out of date licence, so without the check may/would have not been uninsured! So much tosh being spouted by poorly motivated driving instructors, who are very probably those who flog low grade tuition for peanuts, and the customers get what they pay for, which is abysmal driver training. A simple procedure designed to ensure honesty throughout the licence acquisition process is being undermined by morons. Now the government will know who your pupils are, because you're checking their license details. Not sure of the implications, but very smart! The data protection argument does not work. We dont need any other information as we already have it as we have the pupils licence in our hand. So we need a simple text service we text the licence number to a short text 5 digits and get a yes or no back. Hi Steve, thanks for the suggestion. We’ll take this away and look at the feasibility of it. Car hire firms in Spain still demand the old paper part of the licence, yes the one you told us to destroy! No paper licence no hire car! If you try and give them an access code they just look at one bemused and say no paper licence no car. I travel frequently to south Spain hiring cars each time and at no point have I ever been asked for my counterpart, they don't have them in Spain and don't understand the information on them. Waste of precious time and a very long drawn out way off checking a licence validation. There was nothing wrong with the counterpart of the licence. I wont be checking licences because the system is slow complicated and un reliable re internet connection ? I agree with most of the above comments. If you ask the pupil for the number and the don't have Internet how can they get the number. I teach people to drive that don't even have a mobile! A waste of time for both them and us when it takes 2 seconds to check the paper part. Big mistake changing it to the way it is now! Check codes can be generated and checked (online or by phone) in advance of the first lesson. 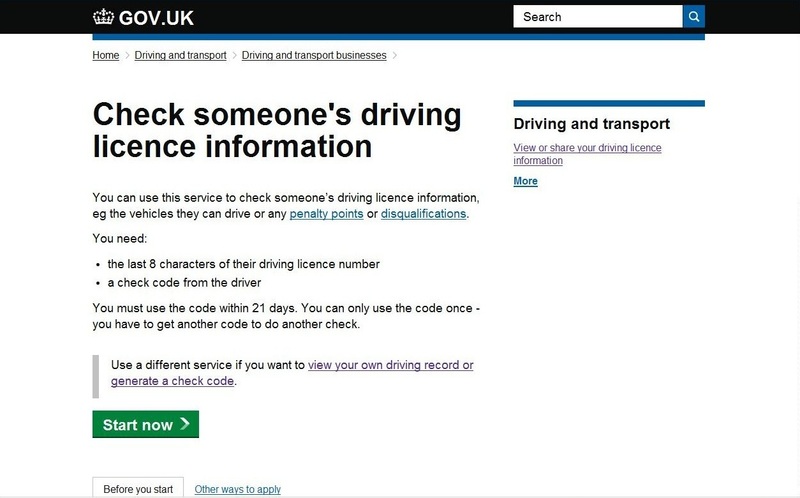 To help companies or employers who use the new service we’ve created a step by step guide (https://www.gov.uk/government/publications/how-to-redeem-a-driving-licence-code). Most pupils are lucky if they remember they booked there 1st driving lesson,never mind getting a code in advance. I,personally,have NO intention of chasing up this info online,I will check their photocard as usual and if it looks vaguely like them will do my job. This system works well when its working! We have had problems in getting the client to get the code written down correctly, which then means they have to call DVLA again! and sometimes to the cost of the ATB. It can be time consuming and frustrating at times. But as per usual we are in the hands of government making the rules! If it has to be this way , a massive help would be not to have a case sensitive code as I find it so much easier to type in the full licence number, post code and national insurance number, than to count the last eight of the licence number then enter a code having to check its case, I often get it wrong up to 3 times using the code, but have never made an error when logging on as the driver, with their consent of course. Not a driving instructor, but using the service for van hire, often with up to 10 people waiting, so time is almost critical for some. We have purchased a PC just so that the customer can log into dvla in our presence to try to speed things up but I would need five pc's just on a Saturday morning. " very bad idea" they should find a way that some in a trusted business with a need to know can have easy access just by entering a licence number given to us by the customer a few days before needed. After all they will happily sell your information to anyone with a car parking business. Technology just for the sake of it. What a BAD idea! We check the pupils have a clean licence before their first lesson with us, what happens if in between lessons they have been having extra lessons or even been driving illegally and get points or get banned but don't relay this to us. How often should we check the licence to make sure we still have a legal pupil ?. Also what are the implications if we do have an accident with this pupil if they haven't told us they have been banned or received points since we last checked. Counterpart should have been kept for all provisional licences for the benefit of ADI's and then removed once the candidate had passed their test. If a pupil can't legally drive,I can't think why they would pay for lessons, knowing when they try to book a test,they wouldn't be able to. Why waste money? Do you have to pay for this service ??. Hello Mr Hemnell - There is no cost to use our online service. However you can make a check by phone if you don’t have a check code to use with the online service. You’ll need to ask the driver you’re doing the check on to call DVLA on 0300 790 6801 and leave permission for the check. Forget it. Bring back the paper. It dont work. It isnt my job. The government dont care so why should I ???? Most people in East London where I work cannot follow the instructions online! They usually get someone else to help which only leads to further complications! Also had a few cases where they had a UK provisional licence and no national insurance number so were unable to generate a code! Another meaningless step built by govenemnt burecacrats to justify their jobs/pay increases. Another service /improvement not wanted by most uses of the DVSA yet forced through and then the lecutres on "coaching ability" and "meeitng the needs of ther customer", talk about double standard and hypocrisy! As the person responsible for checking licences in a transport company I have to say this system is a Godsend. Instant access to up to date information. Common sense, appropriate application of technology to make checking simple with the appropriate level of data protection. Well done! Can't understand why the plastic licence doesn't have a chip embedded like the debit or credit cards. How does Europe cope? Or the USA? Trust the UK to come up with something difficult; that's what comes from those in power selecting a system and insisting that it's alright because they know best. They don't have to deal with this at the coal face. And yes, these are identity cards by the back door but a damn sight cheaper than those originally planned! I agree with some of the comments, it is quite a convoluted way to access the information, and complicated to explain to a learner over the phone or by text, which is how most of my initial contact with learners is made. Re the council checking ( I assume for NDAC etc) the police confirm that the candidate is legitimate to drive for us. The idea of an app is a good idea as the majority of people have smart phones now. I know that some instructors ask the learner to take a screenshot of the view my licence page, I haven't tried that myself. ADIs should be given access to Licence information as a matter of course. After all we are "fit and proper" people having been thoroughly vetted. we run a busy motorcycle school this has added close to an hour a day a big step backwards imagine doing this for 10 people who have got check codes not sorted it out yet then physically doing it on the internet individually, it use to take 10 seconds per person. The first time I asked a pupil to provide a code she tried and couldn't because she doesn't have a national insurance number. Also, isn't the provisional entitlement for group B on the photo card itself? Provisional Category B is displayed on the photocard providing that the driver does not already hold full entitlement for another category (and therefore have a pink photocard). National Insurance numbers are administered by DWP to those who live and work in the UK. This is a good way to go, because in the past you could check the entitlement on the paper licence to see if that person was entitled to drive the training vehicle, but if that driver's licence had been revoked by the courts, you could never find out until the test was actually booked and in the mean time you are teaching a person to drive on the road and he does not hold a valid licence. As a Trainer I always use the system due to the fact I teach LGV and must ensure the candidate is legal to drive i.e. has the correct provisional entitlement. I find the system easy to use and not very time consuming at all. I ask the candidate to bring a print out of their entitlement no older than 7 days or provide a code for me to check, it works ok.
An ADI could check a counterpart and even if the candidate did show one doesn't necessarily mean they haven't received points etc as I have known people holding more than one counterpart as mentioned above, photo card as well for that matter. That said I am also against the introduction of a 2 part licence especially with the stealth ID cad, there was nothing wrong with the old paper licence with pictures as this said it all. But I suppose if you don't force people to have this ID they didn't want then you wouldn't be making money out of them! This new system wastes a huge amount of my time. It's fine in principle, but many of the people I deal with aren't that smart, and I've lost count of the number of enquiries I've had to field when furnished wiIth invalid information (access codes without the case being specified, the wrong part of the licence number etc). Now, I just refer these cases back to the DVLA hotline. I never had a problem with paper licences. If the pupil wasn't able to produce it at the beginning of the lesson, the lesson was cancelled, and I used the hour to catch up on admin, shopping etc, end of. Like all the comments saying what a waste of time dropping the counterpart is, I agree. it will make no difference though, the DVLA will just carry on as they do normally. It might help if the DIA spoke up on the matter, in favour of ADI comments, but they never do either. I agree with developing a simple text option. Much quicker and less faff. Although even that doesn't cover all eventualities but is less hassle and can be done with minimum fuss.